Here Are Fifteen Welding Projects and Ideas For Beginners and Intermediate Welders! Learning welding is easy now since there are so many places that give classes. 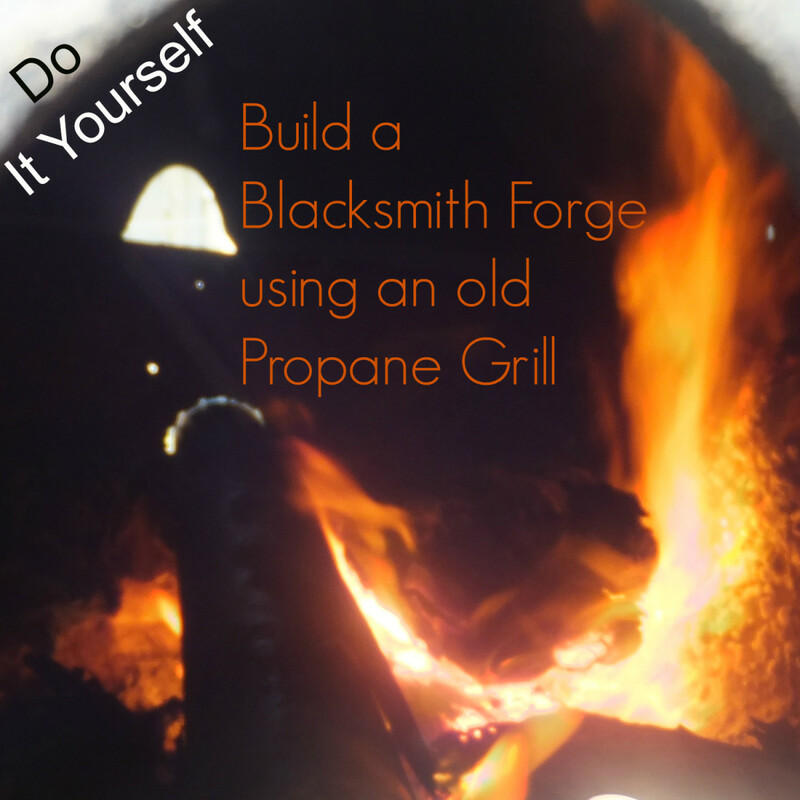 It's so easy to get started with your projects right at home or even with a small welding shop. For starters it is better to go with welding tools for your garage or make your own welding shop. If you are starting off with MIG welding and are looking for ideas to start with, then here are some excellent and easy ideas for you. MIG, which stands for Metal Inert Gas, is a welding process that was developed way back in the 1940s. It is used to weld aluminum and non-ferrous metals. The inert gas used in the welding process is argon which acts like a shield to keep airborne contaminants away. A wire is used as an electrode to weld pieces of metal together. This is probably one of the most useful items for a welding shop. The best about welding a stool is that there are no complicated or intricate parts to weld. It a simple high-rise stool that you must have already seen in welding workshops. Make sure the height of the brackets is the same. You don't want to end up with a wobbly stool. The angle brackets are used to build the frame and support for the seat. It quite simple, you need to weld a square seat frame the size of the metal seat and 4 legs to make it stand. To make the stool stable and strong, make sure that you run angle iron brackets through the bottom half of the stool and the seat. Other seat choices include plywood or padded seats. Very similar to a shop stool, a work bench also has a top and 4 legs. Use a steel top so that you can easily use it for all your future projects. Wood is not a good or safe idea for the top. The size of the table is up to you and depends upon the space that is available in your garage or workshop. Make sure that the work bench is at a nice height for you to work on. You can also add a platform near the bottom half; this will make the bench sturdier and create space to put all your tools. Paint it over with paint for a finished look. This will keep things organized for you. 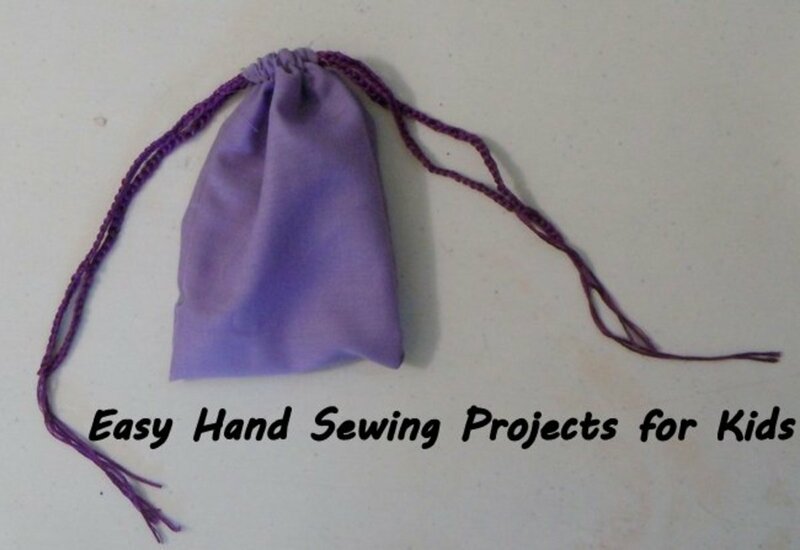 The best aspect about making it yourself is that you can customize it in any way you want. You make a wall-hanging rack to clear floor space if it is limited or you can create a standing rack. The tools you need will be the same as above. Use angle brackets to make the frame of the rack. Then start creating a partition in the middle. The storage space or rack should be big enough to store the equipment that you have. For this you can measure the equipment and make the partitions accordingly. You can use pipes or hooks if you want to hang your tools or steel metal sheets if you want to place them in the rack. 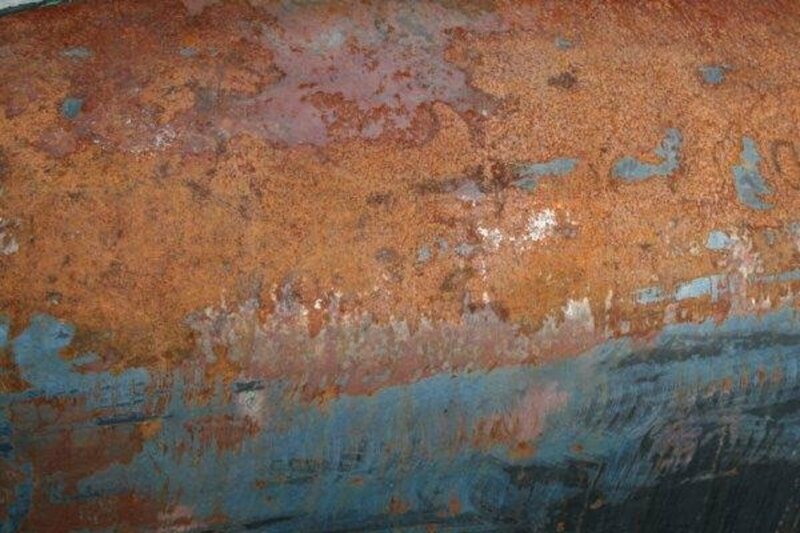 Paint it off for a polished look or just leave it like if you want to show off the neat welding marks you are skilled in. TIG stands for Tungsten Inert Gas. Similar to MIG welding, the TIG welding process uses inert gas to weld reactive metals like aluminum and magnesium. The inert gas used is argon or helium. This welding process was invented in thes 1940s before which it was not possible to weld reactive metals. The gas acts as a shield and prevents oxidization. Hence, a clean and continuous weld can be formed. Space the steel rods at a distance of no more than 2 meters. Depending on the area the fence has to be placed, calculate how many rods you will need. The height of the fence is completely your choice. With a 2 meter width and a height of your choice e.g. 2.5 meters cut a piece of wire mesh. Use the welding machine to weld it in between two steel rods. Continue to do that till your entire garden area is covered. 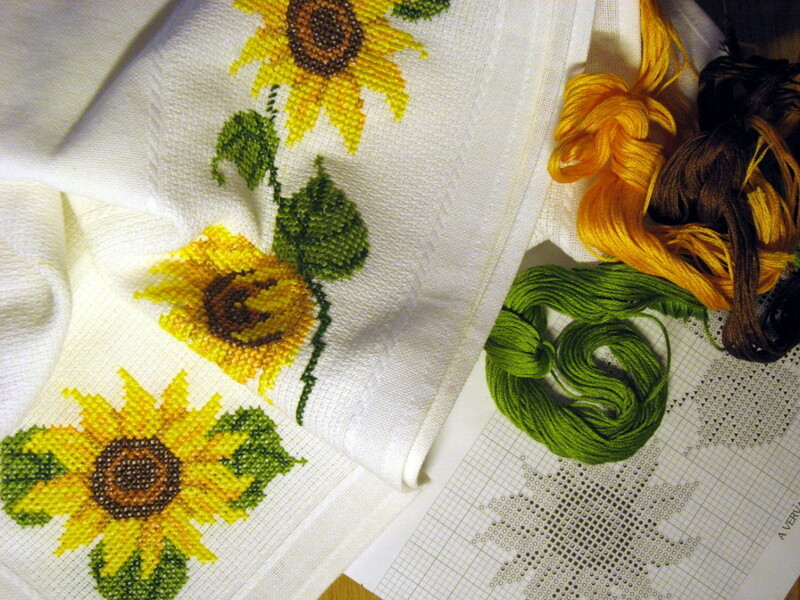 It's a simple to make and quick to finish project once you get all the necessary preparation done. 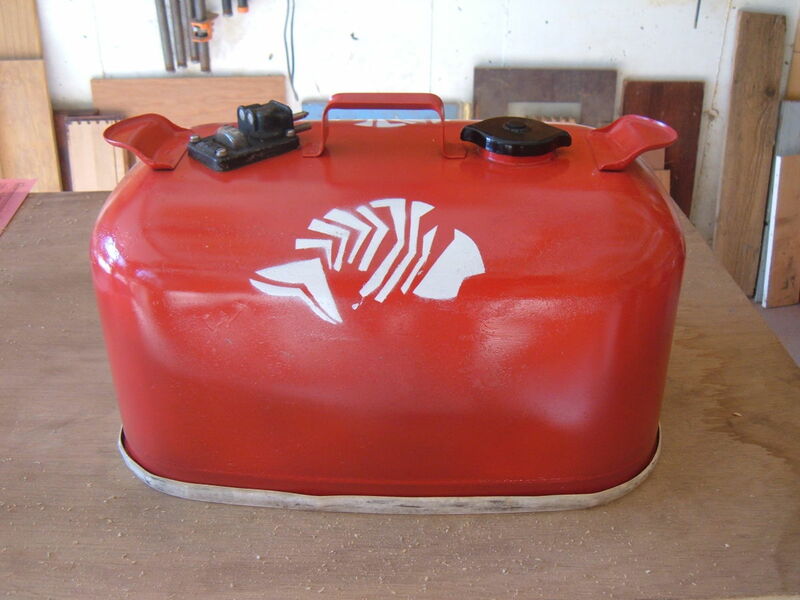 Use your TIG torch to cut the metal barrel in half, horizontally. Make sure that you properly clean it from the inside. Now, weld metal strips together to look like mesh, equally spaced out. Fill the open metal barrel with coal and light them up. 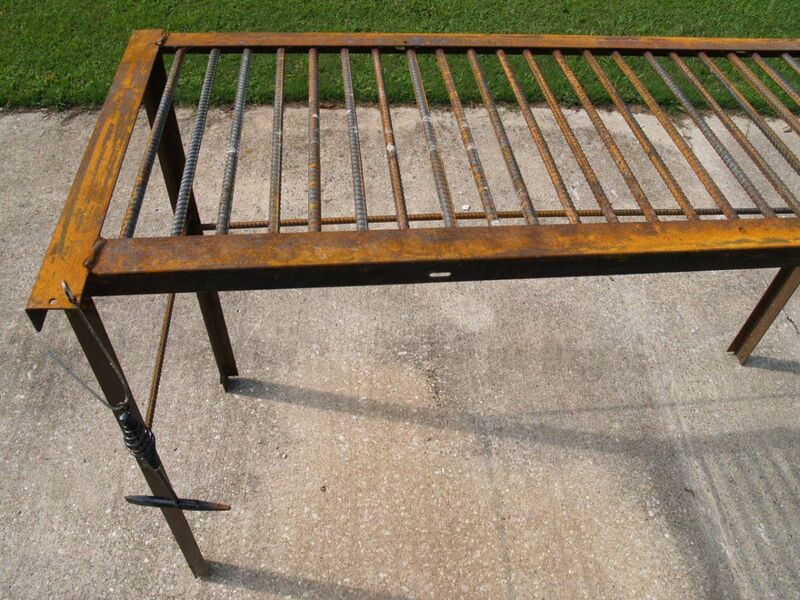 Place the metal grill on top and your own grill is ready for use. Draw out the design before you start welding this one. First of all, make sure that you measure the welding machine accurately so that the metal cart is not too small for it. Use the angle-iron brackets to build the outer sides. Join them into a rectangular form. Now weld the metal strips across the base. They should not be placed close enough to provide support. Weld the casters and cart wheels. Now use the steel rods to make the handle that will enable you to pull it anywhere. Your metal cart is ready to carry the TIG welding machine. Weld together a metal lattice using the metal tubing to create half inch squares. Make it big enough for your pet to be able to pass through. Now use more metal tubing to weld its border in a rectangular shape. Make sure the edges are smooth; you don't want your pet to get hurt. Use hinges to attach this to the bottom half of your door. You will have to cut an opening in your door of the same size. Now your pet can simply punch the pet gate and pass through. Tack-weld the 4 sheets together at 90 degree angles to one another, holding the 20 inch sides together. Now weld four rods at the 4 corners and 4 in between each panel. These rods will be sunk into the ground and hold this big metal square in place. Once, that is done use a sledgehammer and a piece of wood to help dig holes to sink the fire pit into the ground. This one will last you a lifetime. 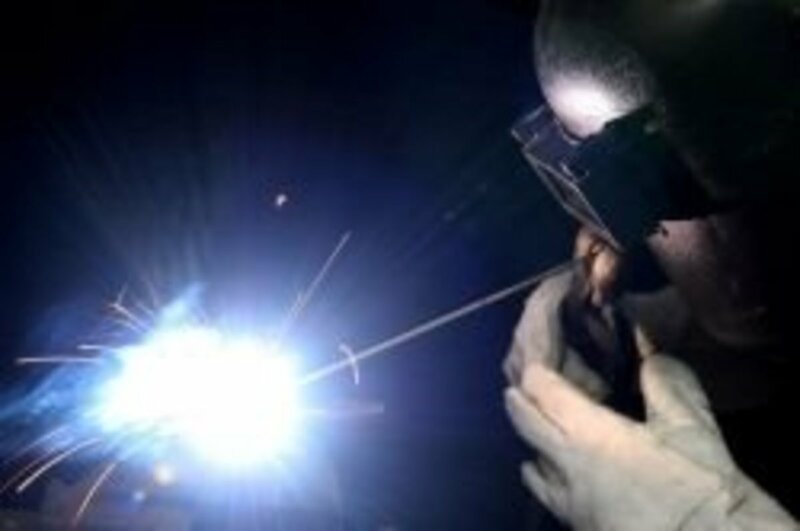 Welding is the process of fusing together metal or thermoplastic materials to form objects. Arc welding does the same, but what makes it different from other types of welding is that it uses very high supply of power. This creates an electric arc between the material and the electrode, effectively casing the surface of the material to heat and melt. During this melting process the material is bonded together to give it the desired shape. 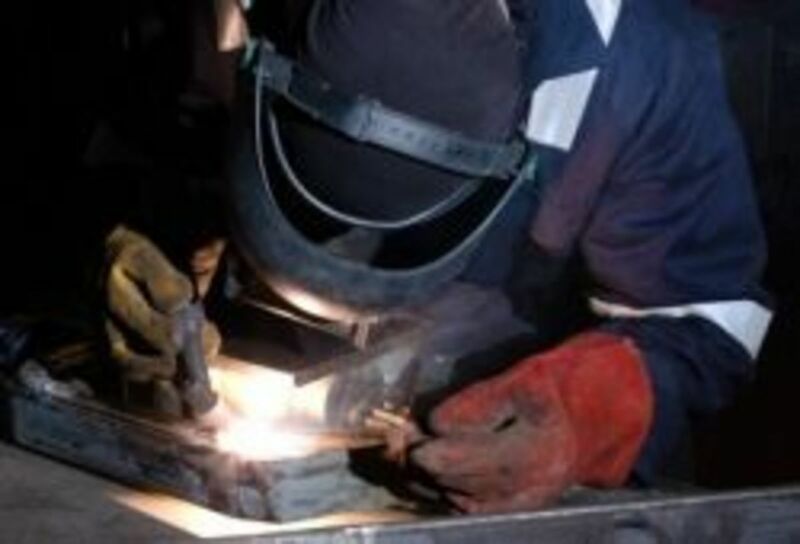 Gas Metal Arc Welding is the most common type as it is very easy to understand and perform. Taking training in GMAW is easy and if you like to be handy around the house then you may want to go for it. 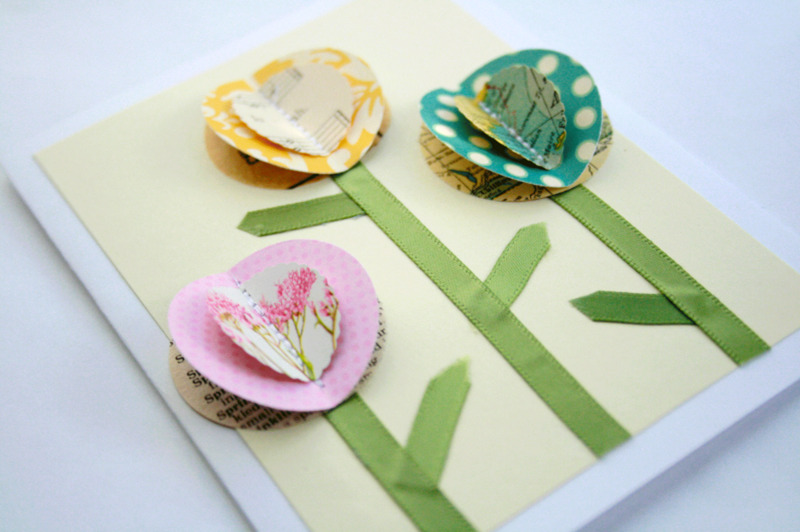 As a beginner you will need some creative and interesting project ideas to show-off your newly learned skill. The L-shaped bookend is the best one to make, since it slides under the books and keeps them in place. Take two metal pieces that are 4-6 inches long and wide. Weld them together using two-tack welds. Use some paint to make it look colorful and interesting. They are even excellent ideas for gifts. Just arrange the metal stripping in form of a rectangular frame. Make sure that whatever your trailer dolly is meant to carry, you measure that thing first. You wouldn't want to go through the trouble of making a dolly and for it to be too small for use. Weld the frame together. It is important that the frame is sturdy enough to support the weight of the items. Use the hitch kit while welding. Make sure that you add the wheels properly. You can use a board on the frame to carry the things around. Looks similar to the goal-post in a football game, a support stand can hold long length rods that you use in your welding projects and need to store. 1 channel of 6 in. 1 nut of 5/8 in. 1 threaded rod of 5/8 in. Weld the 6 in. channel to the pipe. Now weld the pipe to the metal piece and then weld it to the nut. Now insert the threaded rod through the nut and thread another nut to the other side. Weld a 3 in. channel to the nut and add a u-shaped metal piece, which will serve as a support. 1 metal sheet for the base of 4 x 2.5 ft.
4 metal brackets of 2 x 4 in. 4 solid wheels of 2 ft.
Use the 4 metals sheets that you bought for the sides and weld them in a rectangular shape. Make sure you seal the seams properly. Now place the metal sheet of the base on top and weld the edges. Set the axles 4 inches from each end of the wagon. Weld the axle brackets over the axles. The wheel axles should be able to spin. Attach the wheels and flip the body over to weld the wagon handle in place. Paint it with rust proof paint and your garden wagon is ready for use. The rack is built in a square-edged 'U'. The height can be approximately 4 ft. and a length of 5 ft. is sufficient. The width overall should be at least 1.5 ft. Cut the metal tubing in size and start welding the ends. Add extra support halfway through the length to make it sturdier. A motorcycle frame. 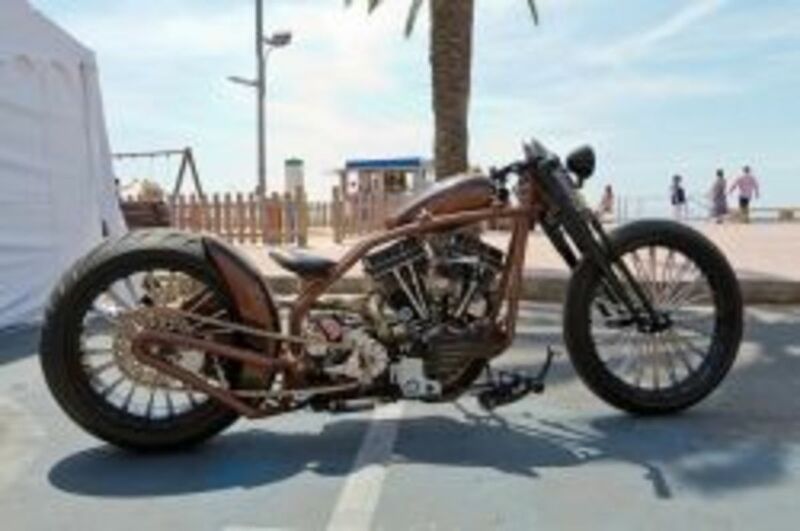 You can build a chopper or bobber style frame, or you can build a mini bike frame. It's up to you. But you should have a jig set up, and you should work with someone who knows what they are doing because if you don't build the frame right it could be very dangerous. A hot rod chassis. Building a hot rod chassis is not as hard as it sounds. Again, you'll need a jig, but that's another project you can start with. But you'll need to work with someone on this as well. 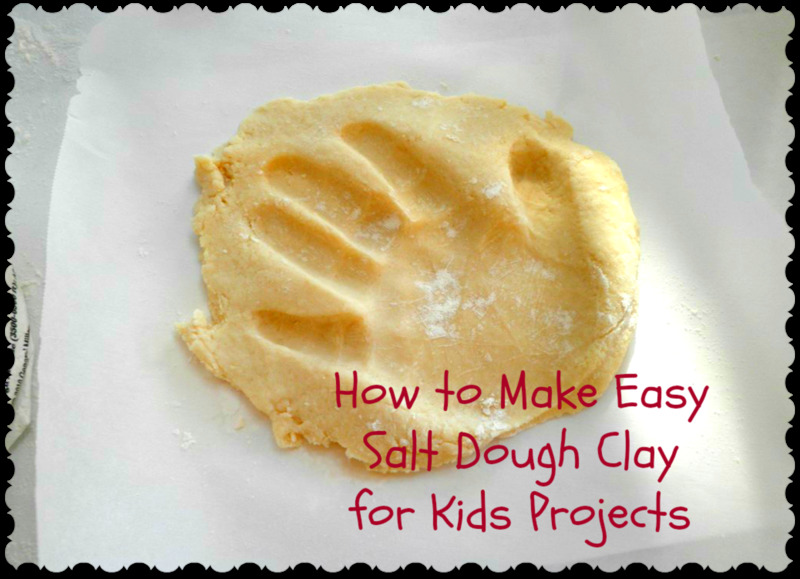 When it comes to fun, easy projects, there are several that come to mind. These are usually quite easy and you can even sell them! Garden Art: Most people enjoy their gardens and you can make really cool garden art for them, or yourself. Sky is the limit here, but the more popular items could be the garden stake, and animal art. Be creative here. 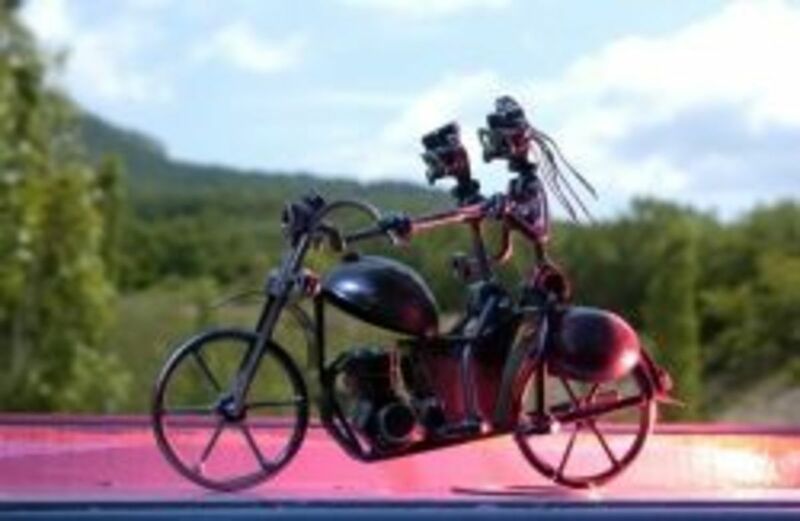 Miniature Welding Ideas: You can enter the niche if welding miniature items like replica's of vintage or modern motorcycles, cars, tanks, and just about anything you can think of. These are always good because people love them, and you can make them out of spare metal parts, nails, bolts, and so on. 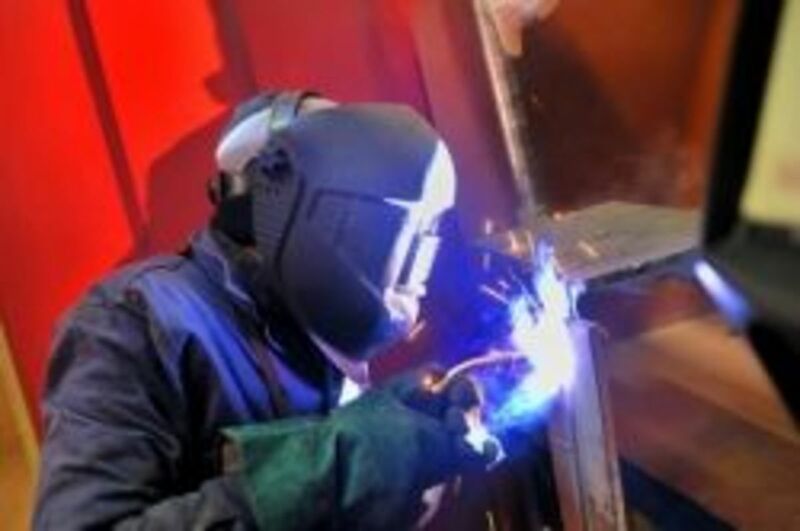 This article is really excellent for money making welding ideas. There are over two dozen ideas you can work with. Which Welding Projects Interest You Most? too little heat or maybe his tecuqinhe or maybe he has moisture in his rods i can't tell what rod he is using but on a root pass or just tacking it together it might be a good idea to use a 6010, 6013 fast freeze rod that's not saying you can't use a 7018 for a root pass and as far as his heat settings he went from 90 to 105 that's a little cold in my opinion using a 1/8 rod I would up my setting to about 125 that way it gets good penetration and the rod wont stick . @ToyTrainsGScale: Thanks for your kind words! My husband does welding and I can appreciate the attention to detail. Enjoyed your lens.